Driving under a heavy rain shower, snow fall or dust is not easy, especially with poor quality or old wiper blades. All of these particles gravely affect the visibility of a driver. Not only that, they also pose great threat to the drivers and other people on the road. Anytime, due to their flurried sight and road condition, people behind the wheels could get hurt or hurt somebody else if they are not cautious. Anyway, cars are usually built with devices and tools that would aid drivers during such situations. To improve the driver’s visibility during harsh weather situations, wiper blades are pre-built on every vehicle unit. 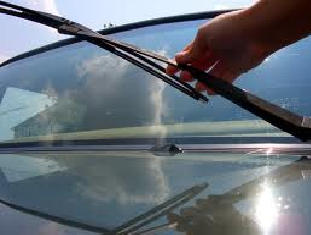 They work by wiping off whatever materials that may fall on the windshield of the car. Because of them, the person steering the automobile can just focus on the road rather than worry about his windshield. However, these tools are not built to last. Even those that are originally installed by the manufacturer will eventually fail the driver. For this reason, it is often recommended to troubleshoot them at the very first sign of problem. Car problems manifest in different ways. The good news is that they are often too obvious. For example, when a wiper blade starts sounding squeaky, it means that there is something wrong with it. Usually, in this situation, it is important to check if the wiper blade is properly attached to the automobile. Through constant use, these devices gradually loosen. Sometimes, a quick tweak would resolve the trouble yet still- there are situations when the problem goes beyond lose connection. If the wiper blades haven’t been replaced for a while, perhaps, it is time to replace them. In this case, it is recommended to look for the best wiper blades in the market. The advantage of going for the best is that drivers can be assured that their tools would work longer than other brands or models. For the consequence, some good brands may put a hole in the pocket. Well, as most car aficionado would say, it is better to spent one’s money of the spare parts rather than suffer on the road. After all, the car owner can always save some cash by replacing his own wipers. He can do this by browsing the net for ways on how to change wiper blades. Numerous DIY sites actually share tips and methods on this. In fact, some even have videos.